I decided to cover Alma Bennett because as I was doing a bit of grave hunting research (yes, I'm weird) I came across Alma's grave and read that she died so in obscurity that there wasn't even an obituary published in any newspaper. That rubbed me the wrong way, so I wanted to write an entry about her so that she can still be remembered after all these years. Also, her mother sounds like one interesting character. Alma Bennett was born Alma Long on April 9, 1904 in Seattle, Washington. She was the only child born to Frederick James Long and his wife, Doris Geraldine McCrea. When Doris died, the name on her marker could have read, "Doris McCrea Long Bennett Erickson Frank." I am not sure when Doris and Frederick divorced, but I do know that she married her next husband, Charles Bennett in 1913. She would go on to remarry in 1929 and her final marriage was in 1936. Busy mama! Just wait until later in the entry when we find the family tree branches intertwining. 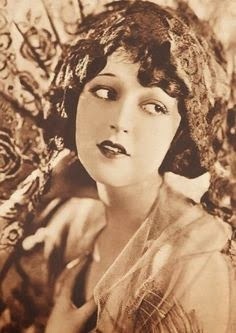 According to a 1924 movie magazine article, when Alma was in her teens she began pleading with her mother to let her try her hand at acting in the movies. 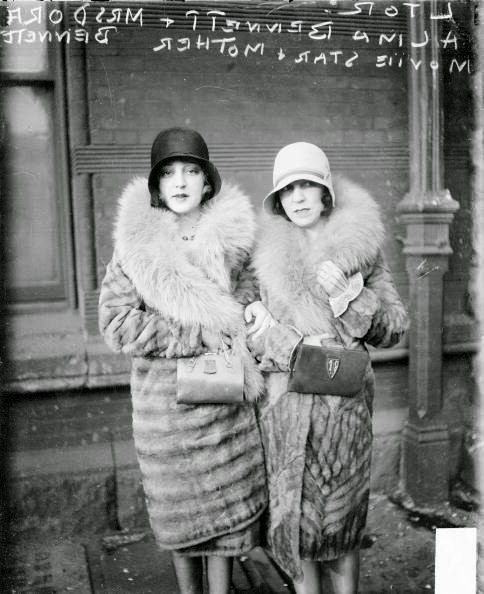 Mama Doris gave her the go ahead and soon Alma began hanging around the movie studios trying to get the attention of anyone who would give her her big break. She managed to appear in a few shorts here and there, but wasn't making the splash that she wanted. Keep in mind she is only around 15 years old at this point. 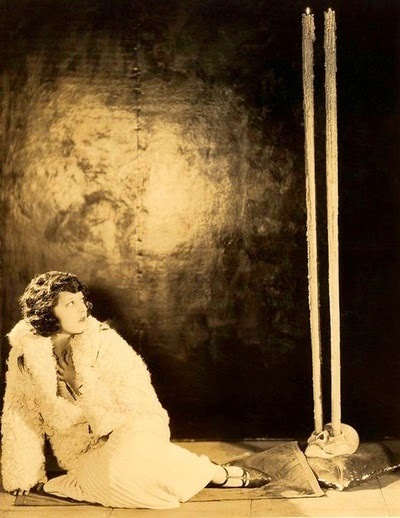 Alma's movie career consisted mainly of roles in westerns, slapstick comedies, as well and vamp roles. Early in her career her frequent costar was Eddie Lyons and later she appeared mostly with comedians Ben Turpin, Andy Clyde, and Billy Bevan. 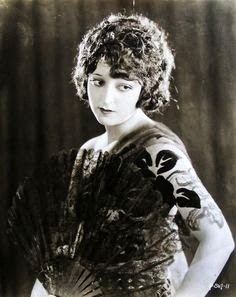 Miss Alma also was a Bathing Beauty later in her career, although I don't believe she was ever credited on film as one. 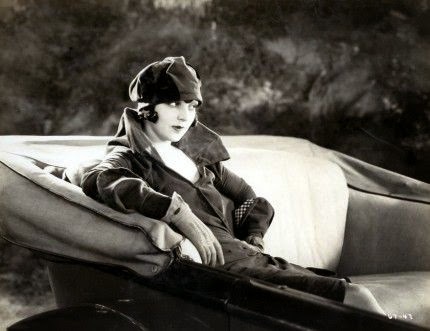 While she never achieved superstar status, she did appear in at least two well known silent films. The first was 1925's The Lost World, starring Bessie Love and Wallace Beery. The second was 1927's Orchids and Ermine, starring Colleen Moore. This film is also notable for being the debut of Mickey Rooney. 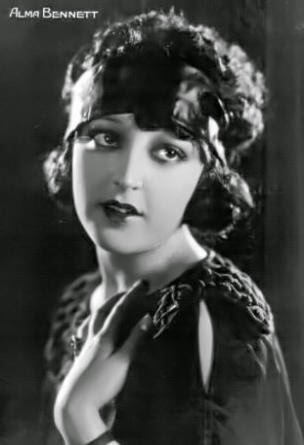 Her last film appearance was in the 1931 short, The Great Pie Mystery, playing a character named Peaches Stone. I love it. Her film roles were getting smaller and smaller and she finally decided to just bow out. 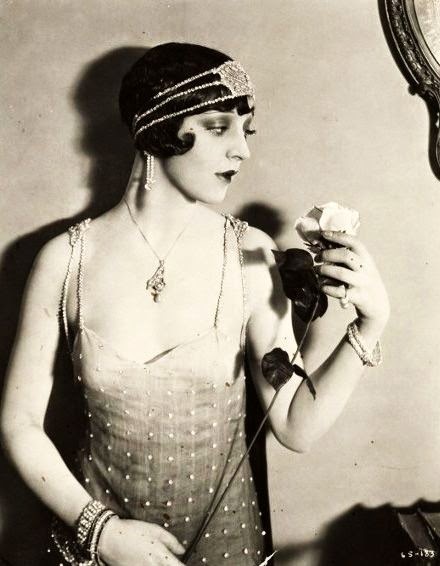 Alma Bennett passed away on September 16, 1958 in Los Angeles. She had become so forgotten by the industry and her fans that not even a notice of her death was printed in a newspaper or magazine. I unfortunately too do not know the cause of her death. I do know that her ashes are interred at the Chapel of the Pines Crematory in Los Angeles. Alma was married three times. Her first husband was Frederick Clayton Bennett, who she married in 1924. Now, if you scroll up and check out one of Mama Doris's married names you will again see the name Bennett. This is because Alma's new husband was her mother's second husband's younger brother. I had to read that over a few times before I finally wrapped my head around it all. Alma and Frederick would divorce after only a year of marriage, and he would unfortunately pass away three years later from influenza. Alma and her mother, Dora. Alma's second husband was actor Harry Spingler, who she was married to from 1929 until his death in 1953. A year later she married her third and final husband, actor John "Blackie" Whiteford. Alma and Blackie would remain married until her death in 1958. I thought Alma's husband would have been her step-brother but it was actually her step-uncle-hmmmmm. Very soap opery. her mother looks almost the same age as her daughter! What a shame that she was so forgotten. Why didn't her 3rd husband put in a obit in the newspaper? I also am not sure why her husband didn't publish an obituary...that came to mind to me too.